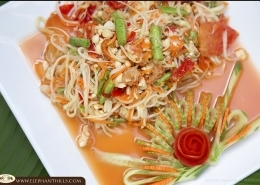 Thai green papaya salad, known as som tam in Thai, is one of the most commonly available and consumed dishes in Thailand. It originates in the northeastern part of the country (Isaan), but nowadays you’ll find it everywhere from Chiang Rai to Krabi. 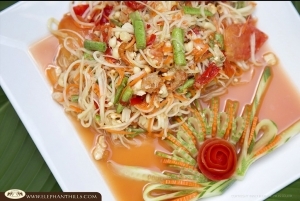 Throughout cities in Thailand, green papaya salad is one of the staples of street food cooking and dining. It’s healthy and easy to prepare, and has a really fresh taste. 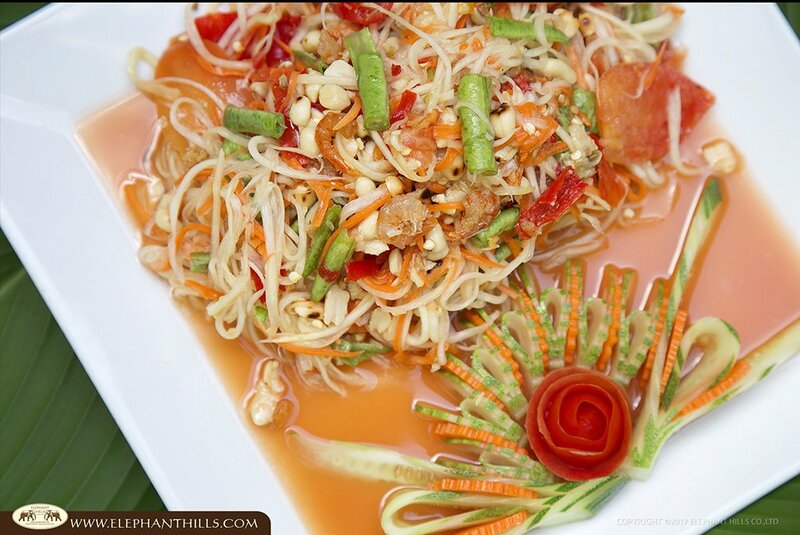 First of all peel both the green papaya and the carrot and grate them afterwards into thin slices. Cut the green bean and the tomato into slices. Then put aside. Put the chilies and the garlic into the mortar and grind them up to receive full flavor. 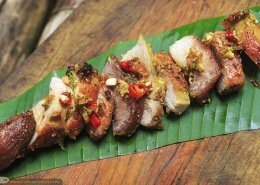 Add brown/palm sugar, lime juice, fish/soy sauce and a small hand of roasted peanuts and keep on grinding them up. 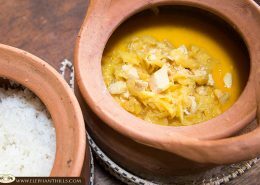 Add the shredded green papaya, carrot and sliced green bean into the mortar and mix it for around 30 seconds. Next step: Taste test. Depending on your own preferences of sour, salty, sweet or spicy taste you can either add more lime juice, fish/soy sauce, sugar or chilies. 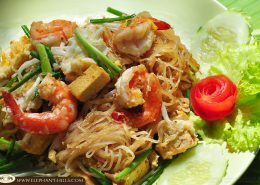 Enjoy your delicious Som Tam! !